Larry Williams entry pattern explored in this article. I don’t want to divulge confidences so I won’t be publishing the exact code for the pattern – just talking about market psychology and a lesser known Larry Williams pattern. Friday was a bad day. The Dow was down over 300 points, closing near the lows on relatively large volume. News over the weekend was about the weak US economy. Articles and forum questions started appearing about how to trade in a Bear market. Then the Asian markets opened with red everywhere. The Nikkei ended down 4.5%, the Hang Seng down 3.1%, the All Ords down 2.9%. Europe then followed suit, gapping lower but recovering some ground by the close. The FTSE ended down 1.1%, the DAX down 0.9%. Meanwhile the Emini was down 15 points in the overnight session. Having seen all that you’d be nuts to be a buyer on Monday. Right? 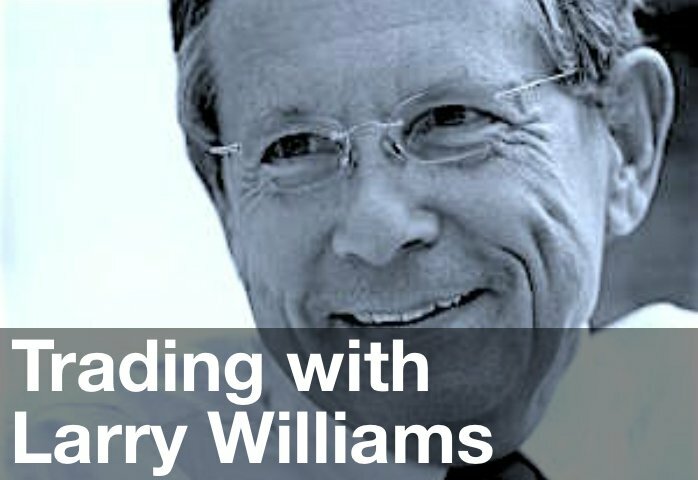 Well Larry Williams calls that Long set-up “The Trade No One Wants” – and he’s right. You’ve gotta have conviction – or something else – to be a buyer on Monday. The equity curve from taking that Long trade on Mondays is shown in the chart above. You can use a Bailout Exit or hold for a week with the usual large stop that Larry Williams suggests. The results are similar – profit factor greater than 1.5 and percent profitable around 60%. Not outstanding results but profitable nonetheless. Where to from here? The Emini has tested the 1,320 level 3 times now (once in the overnight session and twice in the day session). The Better TRIN Oscillator is at -21 and not oversold yet. The down trend has not been resolved yet with an “End of Trend” pattern in the Better Sine Wave (27 or 45 minute time frames). My best guess is that any strong rallies will be sold again and we’re likely to see more trading range activity.